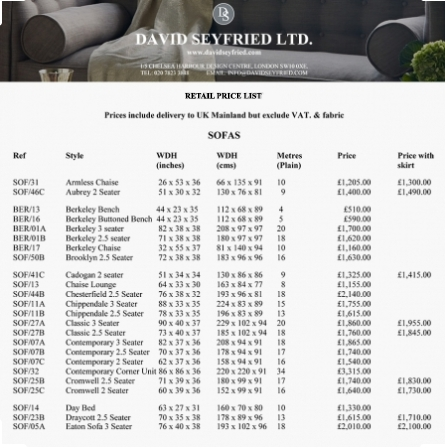 Prices are for the standard sizes for our furniture but there is no charge for minor width, depth or height alterations. Prices include VAT, schedule 3 interliner (fire regulations) and UK mainland delivery (excluding 'window' deliveries) but not the cost of fabric. Orders take between 6-8 weeks to produce. Click here to download our latest price list.